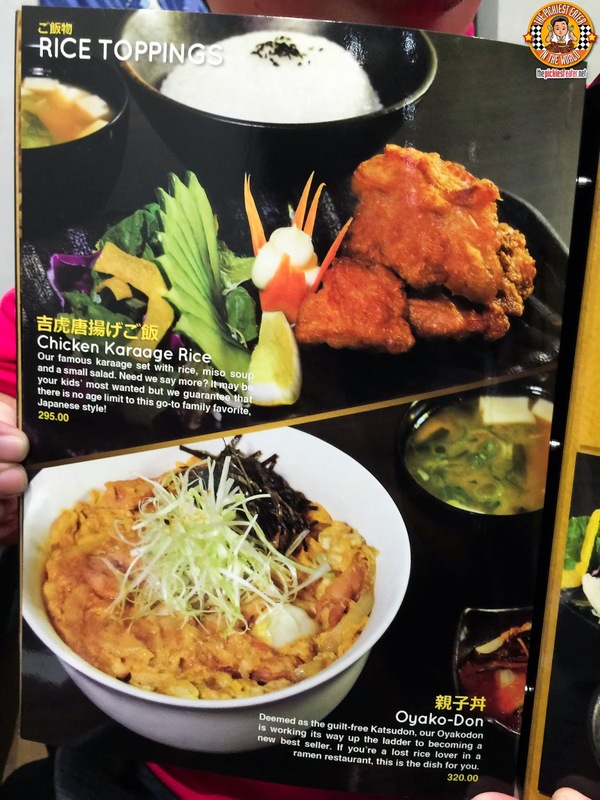 THE PICKIEST EATER IN THE WORLD: KICHITORA OF TOKYO: A RAMEN HOUSE ON THE RISE! Can I just say, it's the lighting that makes me look like I have a lot of white hair on my temples. (Although you gotta admit, it does make me look kinda Clooney-esque, right? In a country that is going crazy over the biggest names in Ramen coming to our shores, one local brand continues to grow and stand tall in spite of its big name competition. 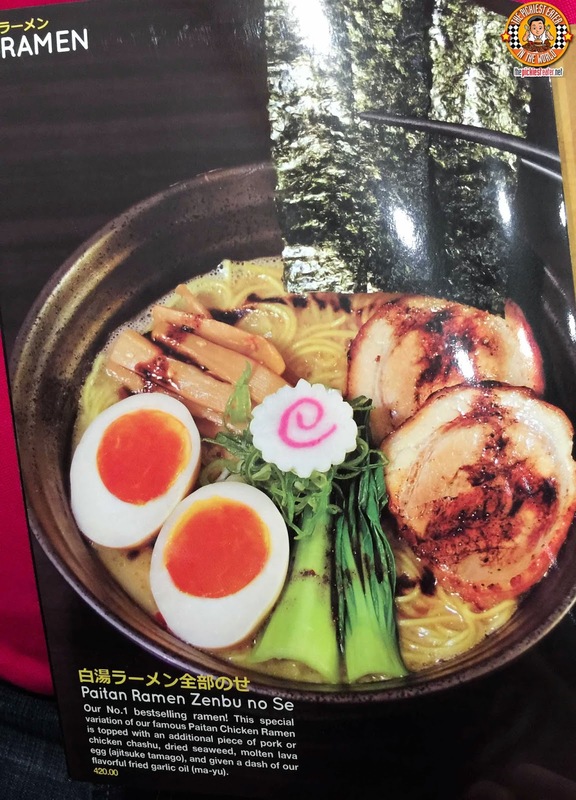 Using a unique broth that is uses chicken as its base instead of the usual pork or beef, Kitchitora of Tokyo has thrown down the gauntlet and showed the big names in Ramen that it's here to stay by opening yet another branch in Bonifacio High Street Central! 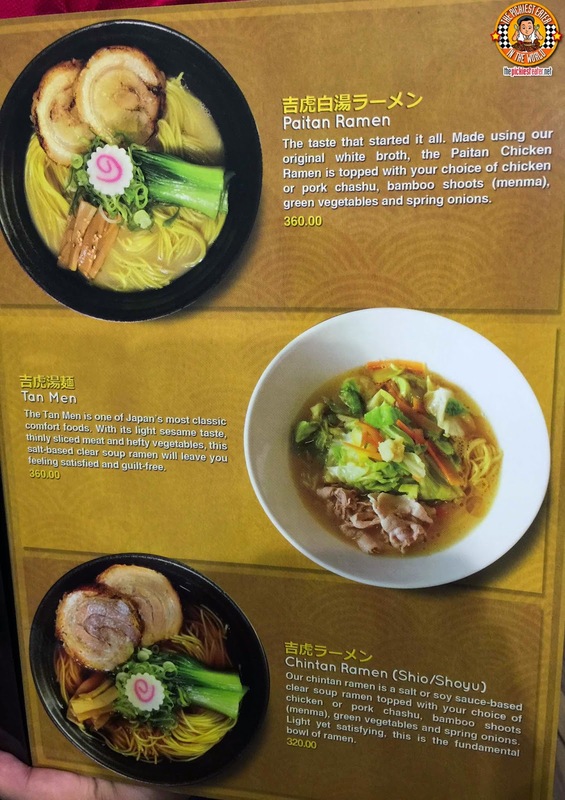 When I first saw Kitchitora of Tokyo in Megamall a few years back, the first thought that went through my mind was, "Wow, yet another international Ramen chain has entered the country". It was only a few days ago that I discovered that - though their executive chefs are Japanese and well versed in the art of Ramen, Kitchitora of Tokyo is actually a Filipino brand! I've been meaning to meet up my buddy Kev from Groupon for quite sometime now, but our schedules couldn't seem to jive. 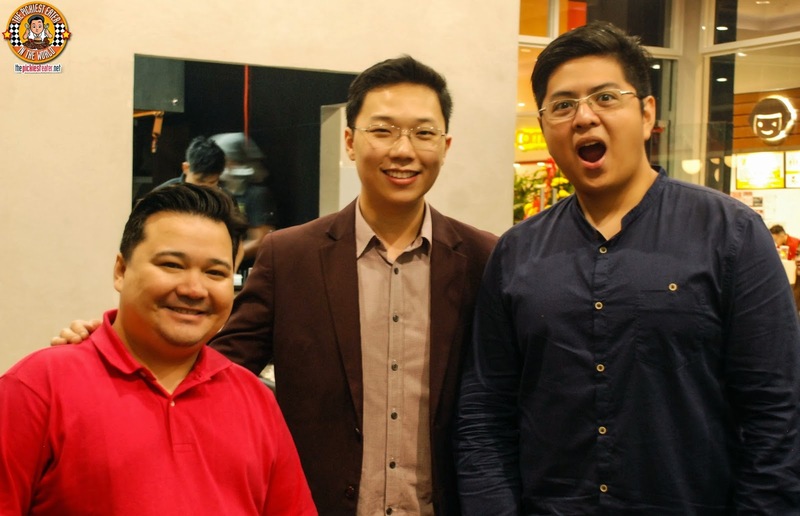 When he asked if I wanted to join him at the launch of Kitchitora of Tokyo's newest branch at Bonifacio High Street Central, I knew this was an opportunity I couldn't pass up. 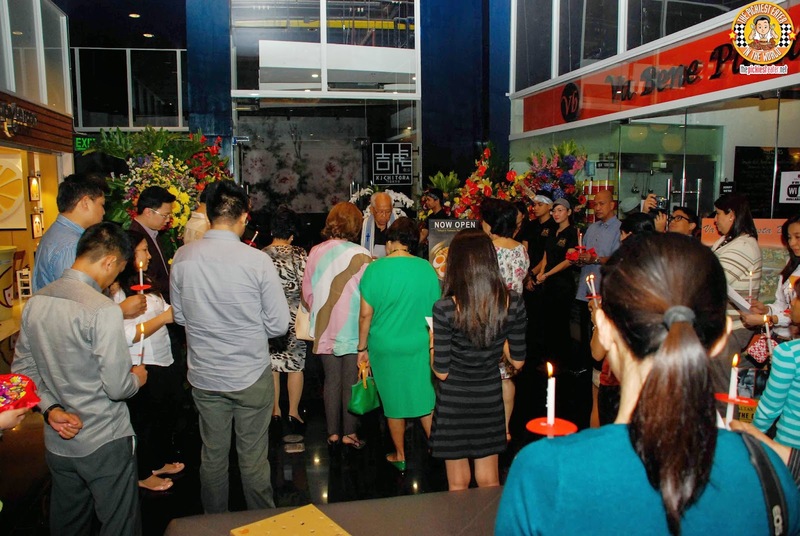 We just made it just in time for the blessing of the restaurant, as well as the traditional "Pasabog" of coins! Despite there already being branches in Megamall and Glorietta, this would be the first time for Rina and I to go into a Kitchitora restaurant. 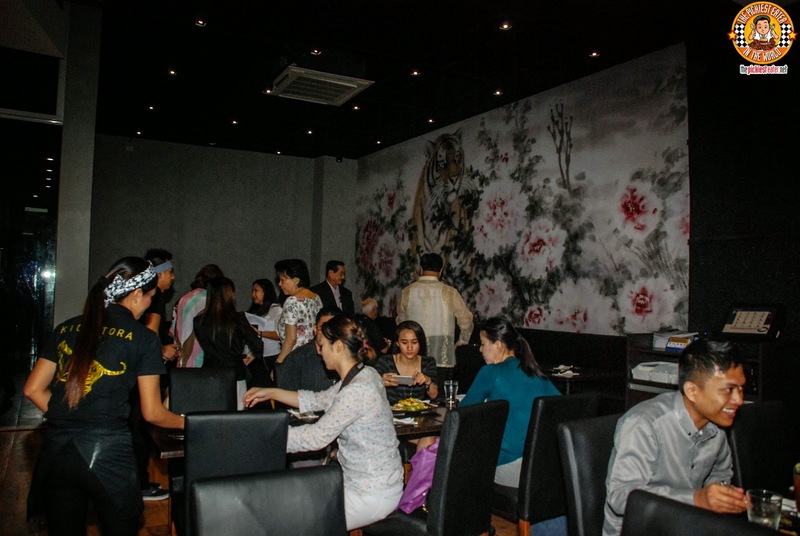 The interiors were kept rather simple, with gorgeous Japanese Wallpaper serving as a mural on the walls. 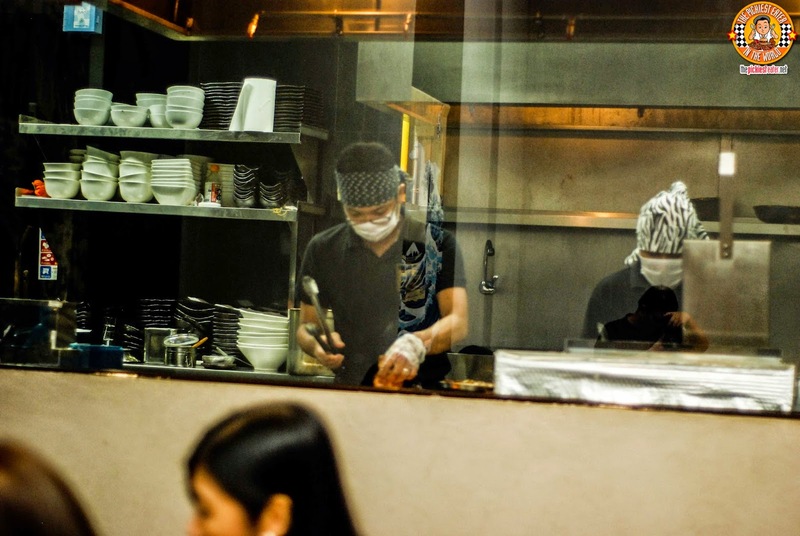 There is a window that allows you a glimpse of the kitchen, where you can see your Ramen being prepared. 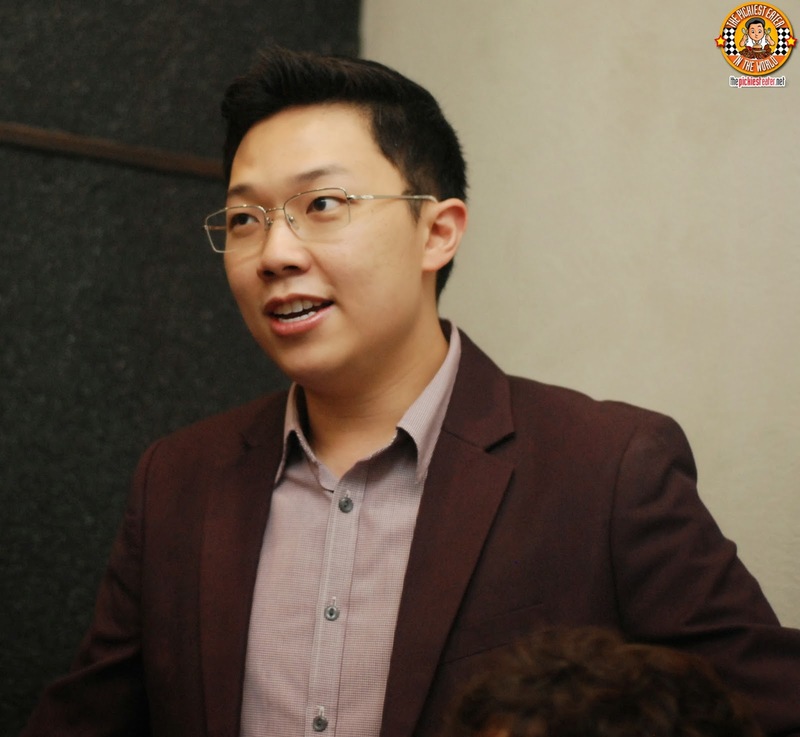 One of the driving forces behind the continued growth of Kitchitora is the hands on approach of one of its owner, Mr. Larson Chan. 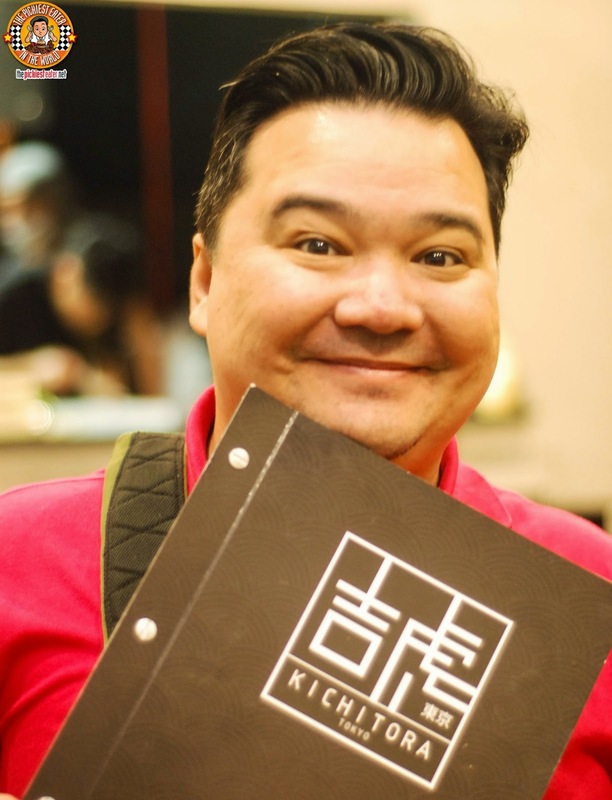 Despite the fact he was It was Larson himself who told us the story of Kichitora, from how they got its name and how they managed to slowly carve a name for itself as a force to be reckoned with in the ramen game. "Kichitora" isn't just a catchy name.. It actually translates to "Lucky Tiger" in Japanese. 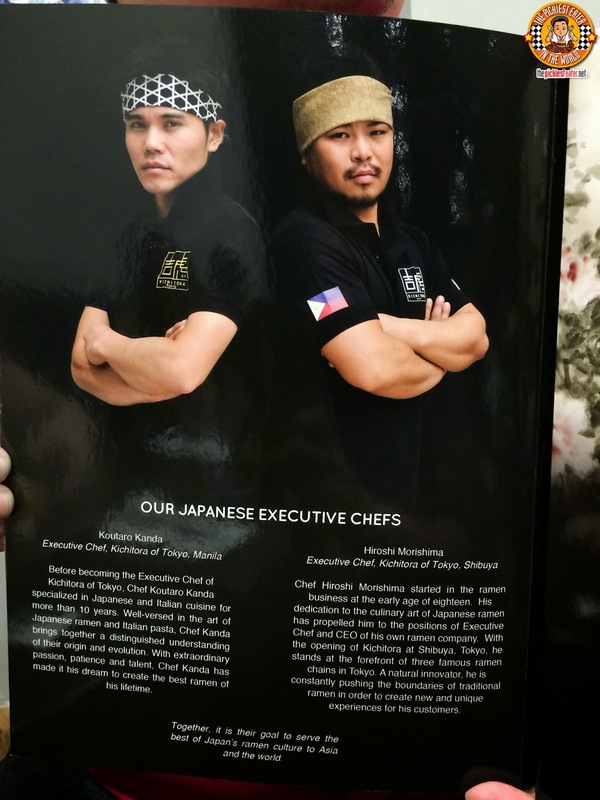 Though Kitchitora is a Filipino brand, the Executive Chefs are Japanese nationals with extensive experience in the culinary world. Chef Koutara Kanda is in charge of running the kitchens for the Metro Manila branches, while Chef Hiroshi Morishima handles the Tokyo branches. These are the brilliant minds that helped develop Kichitora of Tokyo's Claim to fame - The Paitan Ramen, a chicken based broth that is still big on flavor. 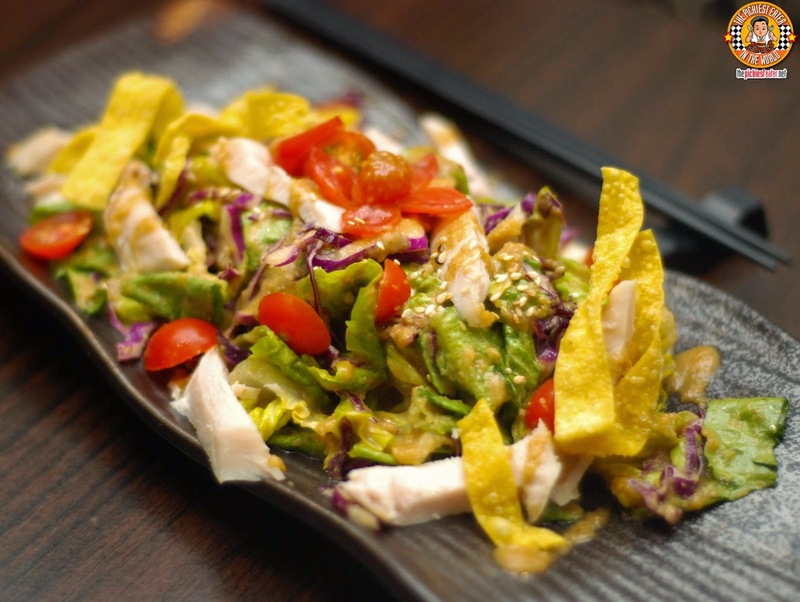 Our meal began with the Ban Ban Ji (P295), which is Kichitora's version of an oriental salad. 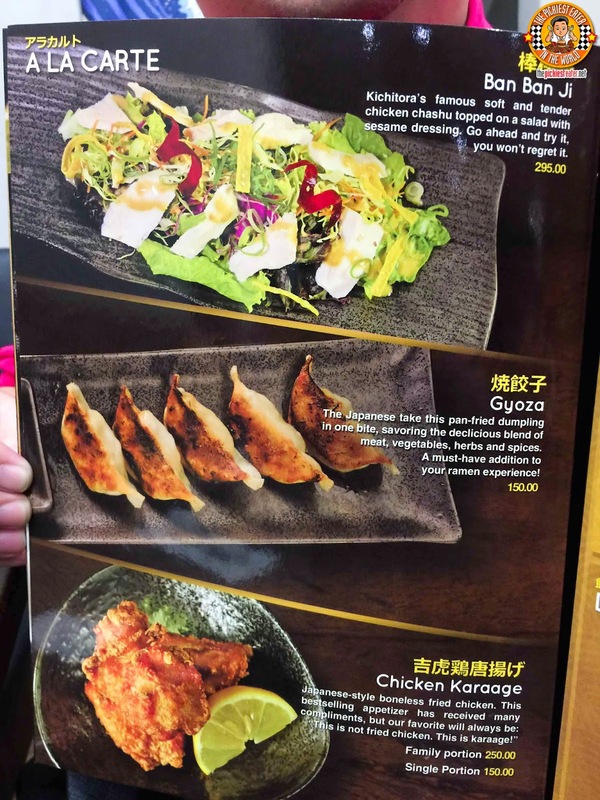 Mixed greens and deep fried wanton skins, topped with tender strips of Kichitora's famous Chicken Chasu, and a healthy drizzling of Sesame Dressing. Then I quickly discovered that Kichitora's Gyoza (P150) is among the best I've ever had. 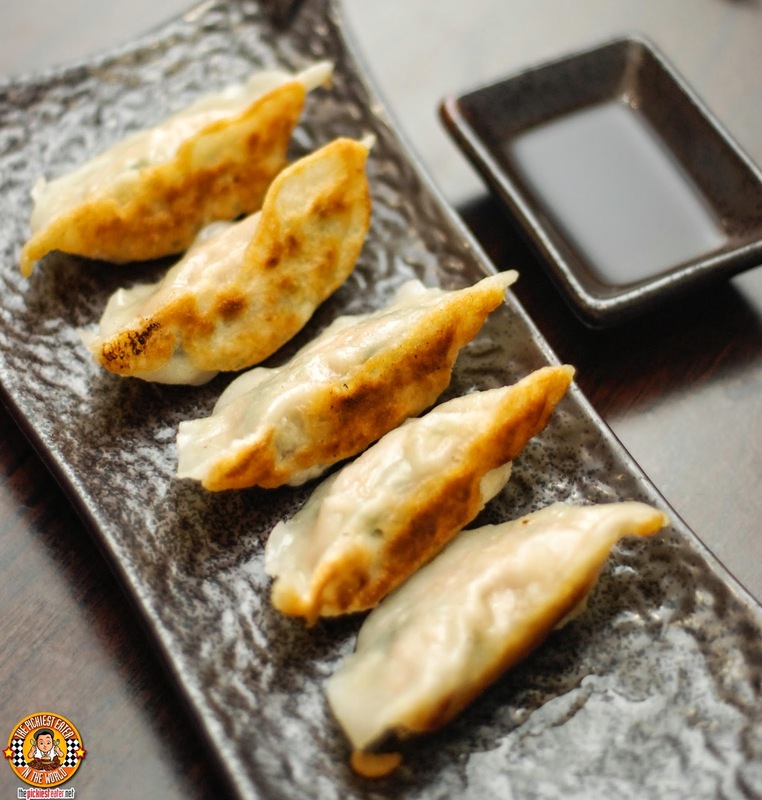 What set these delicious dumplings packed with a medley of minced meat, vegetables and herbs apart from others I've tried was how it was pan fried. The crispiness on the side of the skin was done absolutely perfectly, giving the dumpling an added dimension of texture. Like the Gyoza, Kichitora's Chicken Karaage (P150 Single Portion/P250 Family Portion) was a revelation. 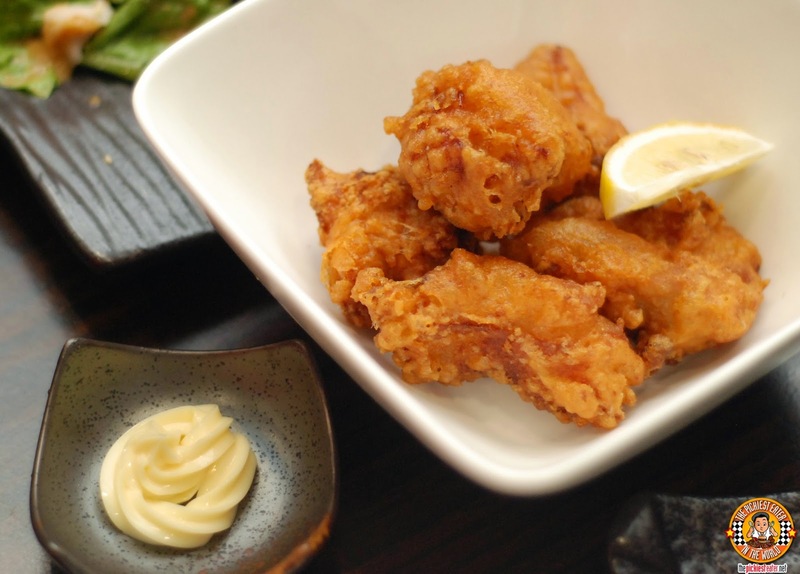 The breading was light, and a little bit airy, making it seem more like Boneless Fried Chicken than your usual Karaage. Biting down into it lets out a nice crunch, and reveals juicy, perfectly seasoned chicken meat. It's really so delicious, I had not promise Rina we'd come back and order this as a rice set meal (P295 with Miso Soup and a Side Salad). 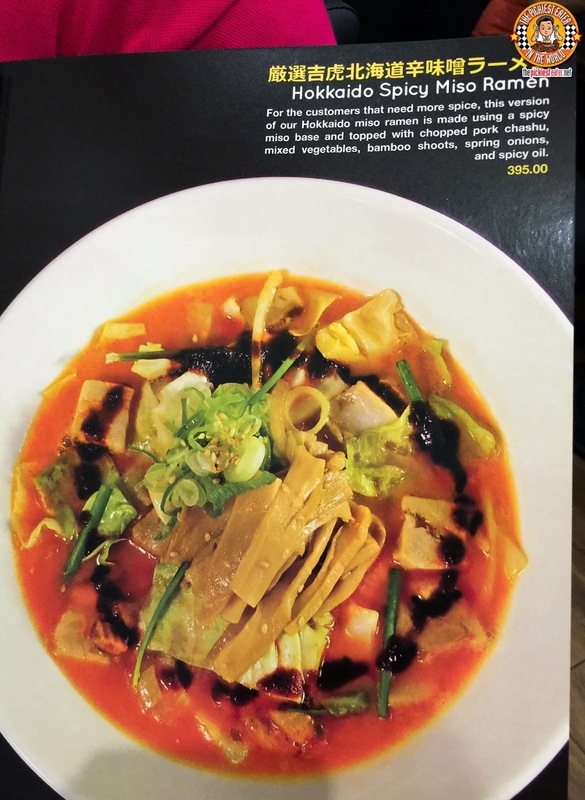 As everyone scrambled to decide what kind of Ramen they would order, I decided I was going to order a dish that showed Kichitora liked to think outside the box. The Jajamen (P360) is inspired by Beijing Jaja Cold Noodle Dish, and given the Kichitora treatment. Poured into the pile of the cold noodles is a lusciously sweet sauce, with minced pork mixed in. Serving as the crown jewel of the dish, is the Onsen Tamago - a delicately cooked poached egg, with the dish garnished with a heap of Spring Onions and Bamboo Shoots. Others commented that the dish might be a bit cloying after awhile, but considering I practically finished the whole darn thing, consider that statement debunked. In my opinion, the Jajamen best exemplifies the versatile culinary skills of Chef Koutaro Kanda, as he manages to successfully create an East meets West dish, that kinda reminds me of spaghetti done Japanese style! 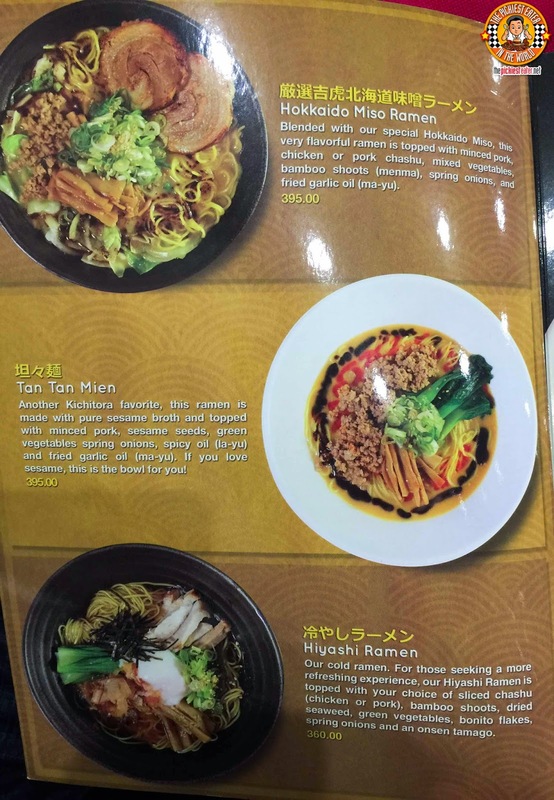 Ramen purists will be happy to know that Kichitora has their own version of the popular dish, Tan Tan Mien (P395), in which you can request for the level of spiciness. My buddy Kevin ordered his "Extra Spicy", so I politely declined his offer for me to taste. The Tan Tan Mien is made with a Pure Sesame Broth, topped with bits of Minced Pork, with some chopped Green Vegetables and Spring Onions thrown in, followed by a sprinkling of Sesame Seeds, and a drizzling of Spicy Oil, and Fried Garlic Oil for a more robust flavor. I normally say that I can't tell Ramen apart, but the Hokkaido Miso Ramen (P395) of Kichitora really stood out for me. The Hokkaido Miso broth used had a smooth, lightly sweet creaminess to it, unlike any other Ramen I had ever had before. Minced Pork is then sprinkled into the broth, together with mixed vegetables, spring onions, and some bamboo shoots that balance the soup with its touch of saltiness. You can also choose between the chicken or pork Chasu (No Brainer.. Team Pork all the way), with a bit of a garlic oil infusion into the broth. Phenomenal stuff, man.. No joke. 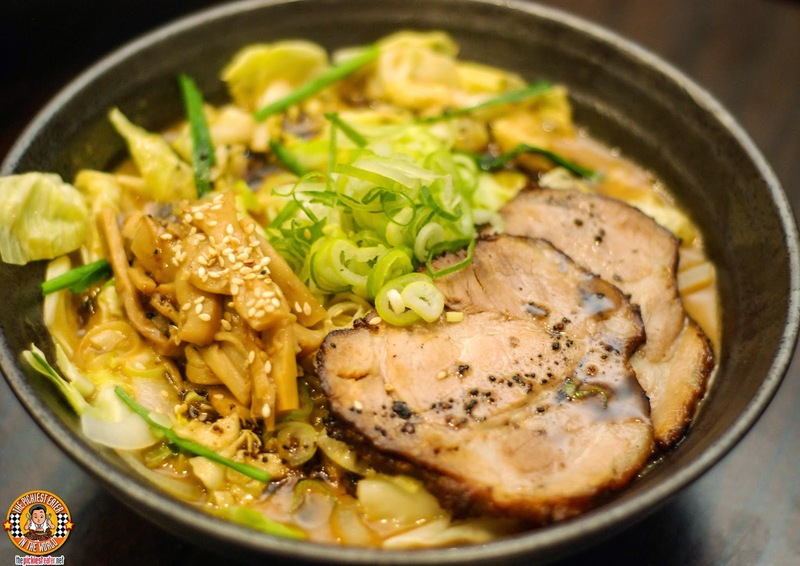 The Big Daddy of Kichitora's menu is the Paitan Ramen Zenbu No Se (P420). 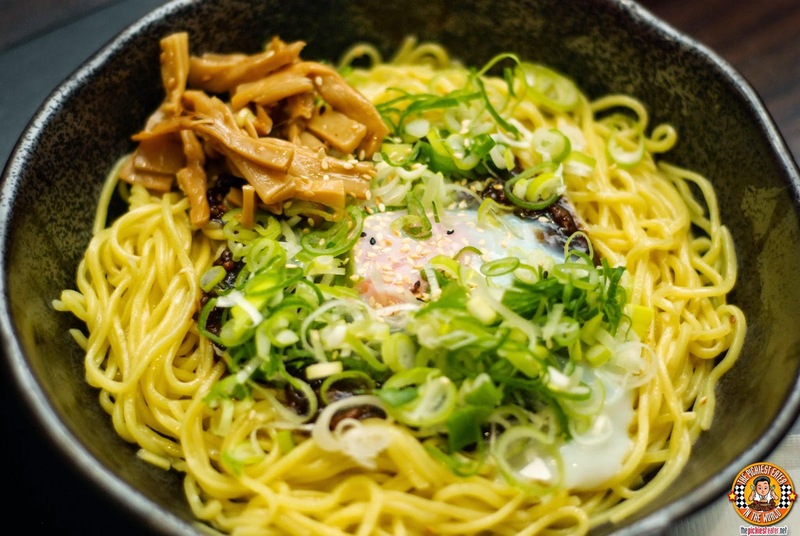 Using their signature Paitan Chicken Ramen as the base, the mouthwatering broth is filled with delicious Chasu (Your choice between chicken or pork), dried seaweed, a perfectly cooked "Molten Lava Egg", and Fried Garlic Oil. Stunning not just visually, but to the palate as well. 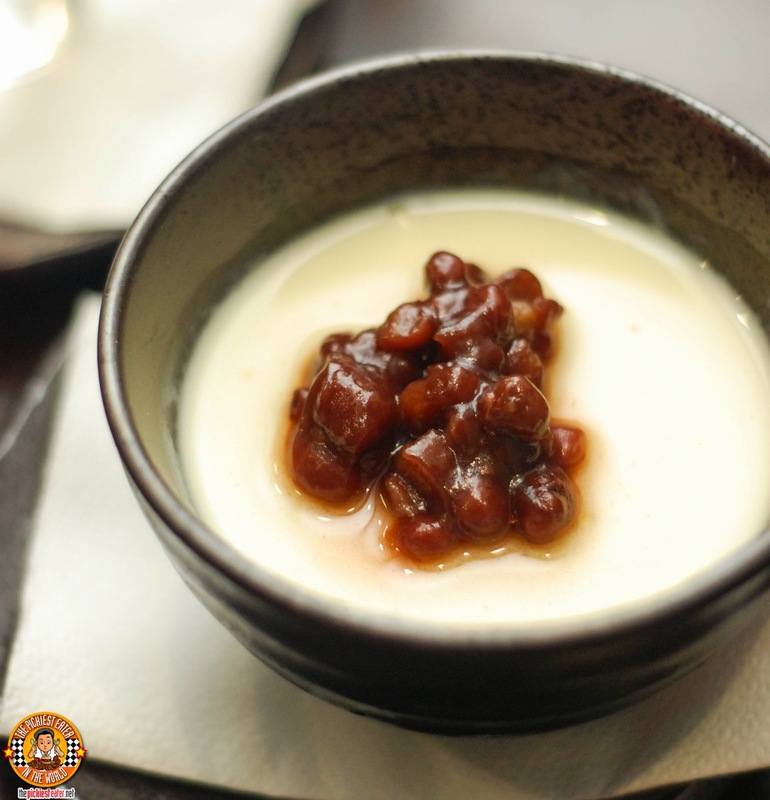 Kichitora also has a couple of desserts on their menu, that serve as not just a sweet ending to your meal, but a great way to cleanse your palate after devour all those dishes with such bold flavors. 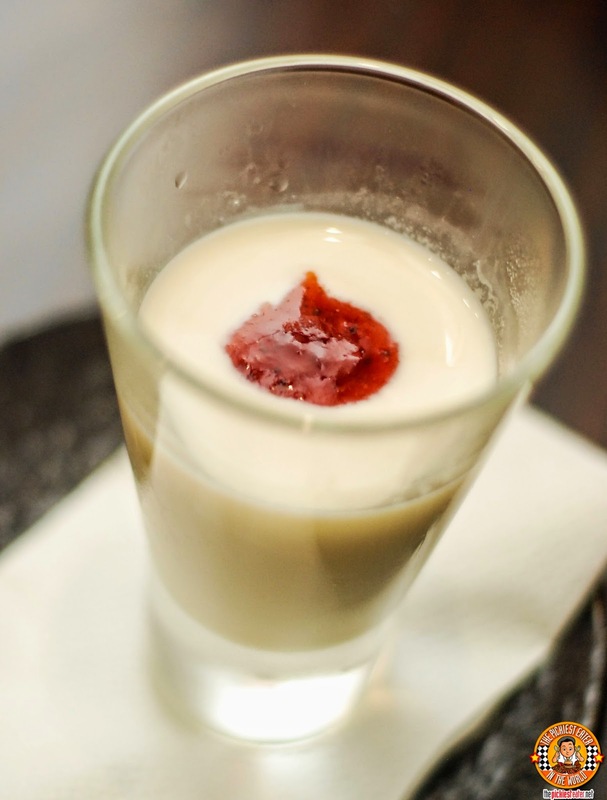 The subtly sweet creaminess of the Almond Jelly (P150) is given a twist with a dab of a strawberry coulis. 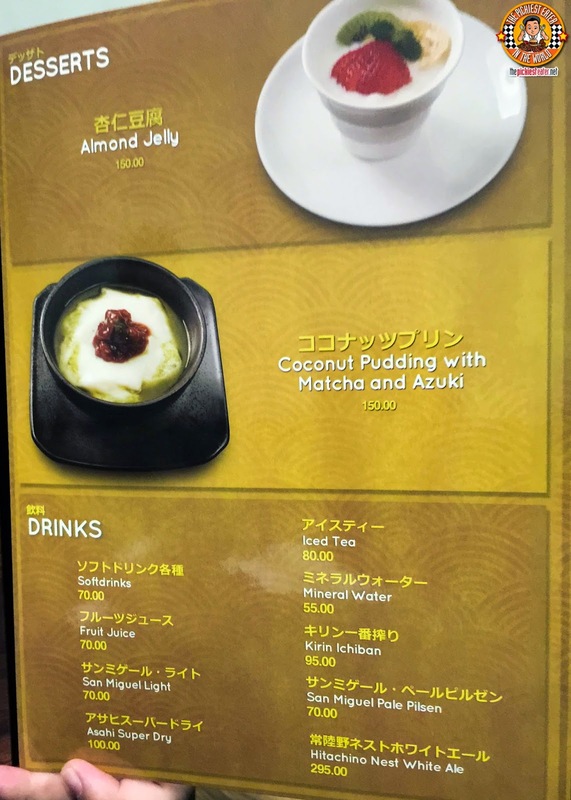 The comforting Coconut Pudding with Matcha and Azuki (P150) also offers a soothing alternative to end your meal. With it's I can say that after one visit to Kichitora, it has instantly become one of my favorites in the metro! 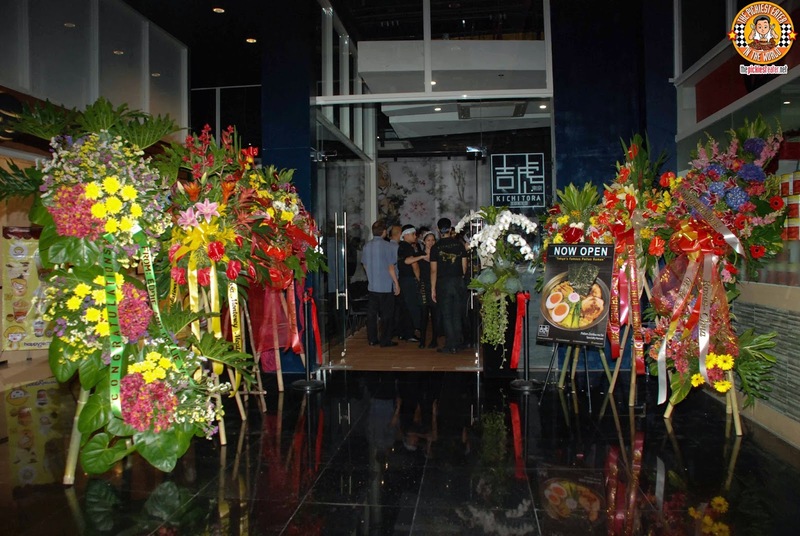 Congratulations to Mr. Larson Chan for the successful opening of Kichitora of Tokyo in Bonifacio High Street Central! 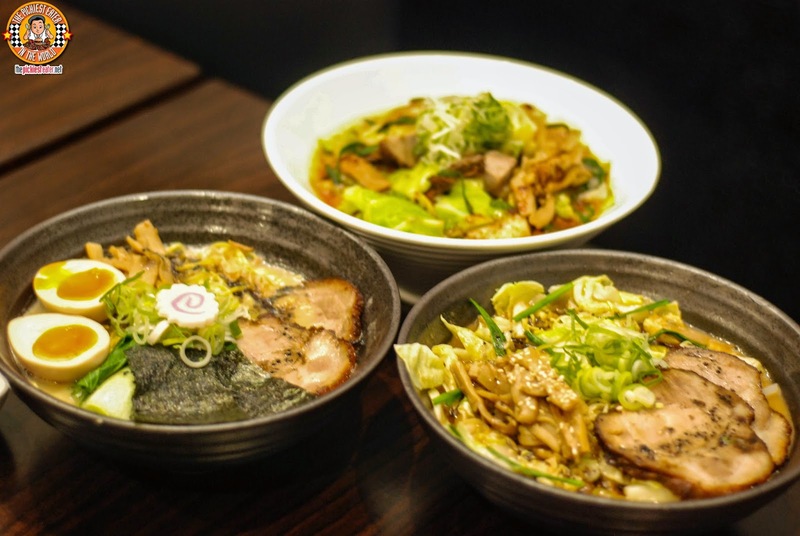 Amidst the entrance of some powerhouse international brands into the country, It's great to see a homegrown Ramen brand continue to grow and thrive. It was great to finally go on a food trip with my buddy Kevin! Looks like exciting things are gonna be happening at Groupon! I'm looking forward to it! 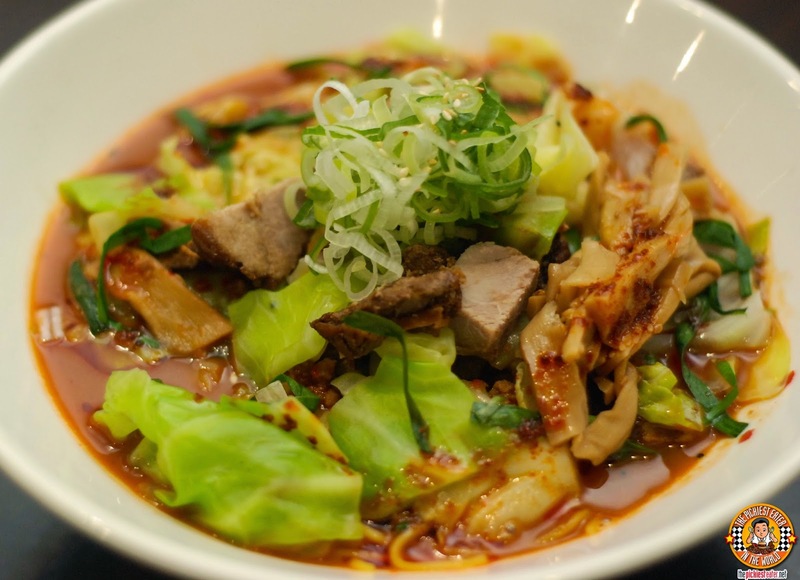 With it's bold flavors, innovative dishes and flat out delicious food, I'm proud to say that Kichitora can easily go toe to toe with the Ramen Giants in the food scene today. Rina and I enjoyed our meal at Kichitora so much, that she wanted her dad and sister to try it as well! Good thing Groupon has an ongoing promo for the Bonifacio High Street branch, where you can get up to 50% off on your food! I purchased a deal that got me P2000 worth of food, for only P999! I've yet to find a ramen house where I would be satisfied with the taste of the ramen. Maybe Kichotora would deliver, and I am going to find out. 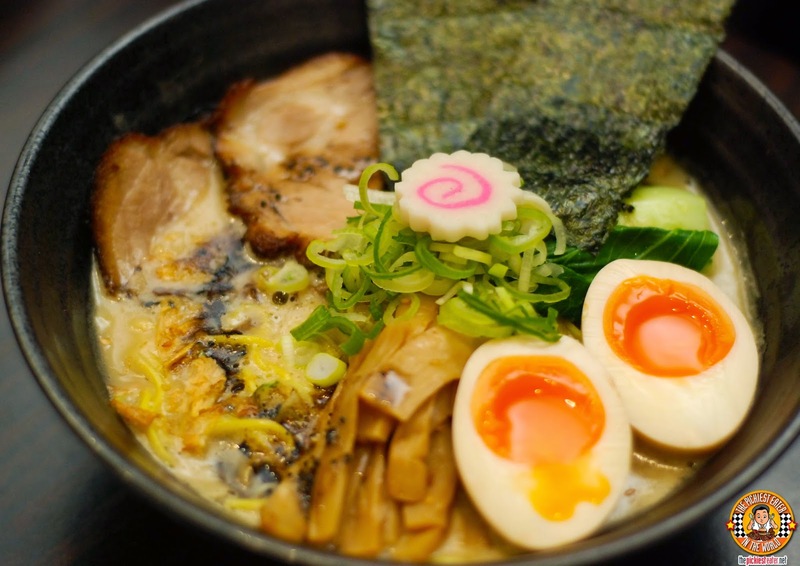 My eyes are set on that paitan ramen. I like my ramen with eggs. 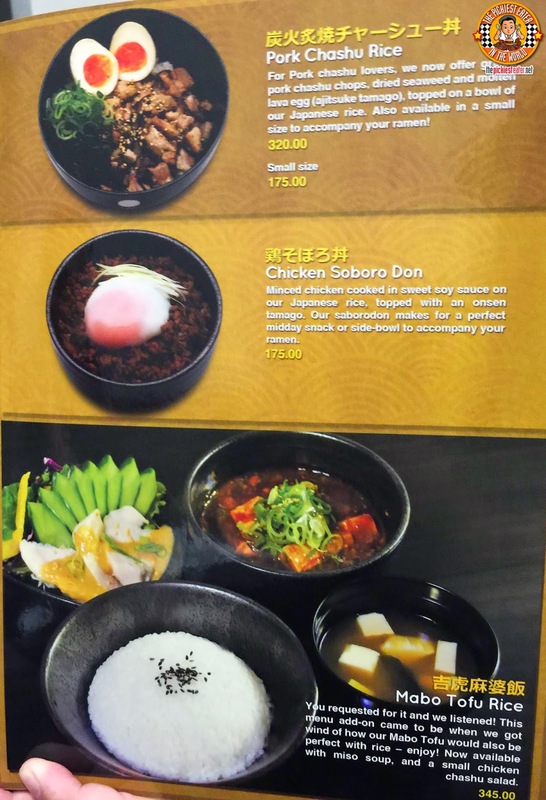 Try the Hokkaido Miso as well, but Yes, the Paitan is what sets them apart from the others! 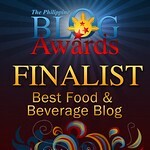 Lovely blog, Lovelee! pun intended! By far, Paitan Ramen Zenbu No Se is my favorite. Others, I find too overrated. Or maybe, I just don't know how to choose well. Haha.